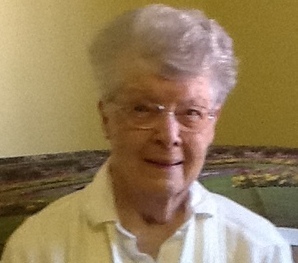 Barbara S. (Sweet) Purinton, 98, passed away on Monday, March 18, 2019 in Newburyport. She was the wife of the late Charles S. Purinton who died in 2010. Barbara was born in Milford on February 2, 1921 and was the daughter of the late George A. and Lina D. (Hamilton) Sweet. She was resident of Byfield for many years. She attended Boston University where she received a degree in teaching. She was employed for twenty-six years as a First Grade Teacher for the Yellow School in Byfield. She was a member of the Newbury Garden Club and the Daughters of the American Revolution. In her spare time, she volunteered at Anna Jaques Hospital and the Newbury Library in Byfield. Barbara is survived by her three loving children, Charles A. Purinton, II and his wife, Jane of Salisbury, Nancy Purinton and her husband, Tom Cuff of Fredrick, MD and Sara P. Lord and her husband, Michael of Rowley; three grandchildren, Chad, Aisha and Zachary and three great granddaughters, Hannah, Vianne, and Cordelia. Services for Barbara will be privately held at the convenience of the family. In lieu of flowers, expressions of sympathy may be made in Barbara’s memory to the Activity Director, Port Healthcare, 6 Hale St. Newburyport, 01950.